Foodies and die-hard New Yorkers love to get into verbal scuffles over which of the city’s old-school Italian restaurants came first, stay faithful to the cuisine, are truly authentic, and so on. 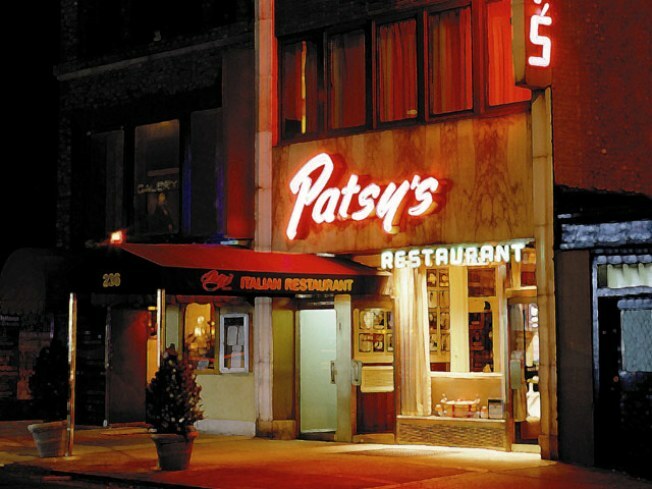 But one point is not in dispute: Patsy’s on 56th, the family-owned and -operated Italian restaurant open since it was founded in 1944 by Pasquale “Patsy” Scognamillo, was a favorite late-night drop-in of one of New York’s most beloved sons, Frank Sinatra (the man had to eat -- even if, as alleged by Kitty Kelley's very unauthorized biography, it involved scrambled eggs served on a call girl's chest). And this weekend, Chef Sal Scognamillo and crew will be serving their annual Sinatra tribute menu, in honor of the late great’s birthday; he would have been 94 on December 12. On Friday and Saturday at Patsy’s, diners can order Frank’s favorite dishes: Frank’s Clams Posillipo – involving littlenecks with garlic, tomatoes, basil, and more garlic -- Frank’s Veal Milanese, Frank’s Fusilli with Fileto di Pomodoro, and favorite desserts including a ricotta torte. $75 plus tax and tip gets you the above, a glass of wine, and the feeling of being connected – across time and tomato sauce – to one of the greatest entertainers New York’s ever birthed. Even if he was actually from New Jersey (potato, potahto). For reservations, call the restaurant at 212-247-3491.